So this year is going to be a little different. The following is the pertinent information on the main rally. What follows is a much larger week long event that we have been working on and would like to invite anyone interested to attend. Seeing as this site is about riding, and we don't want to exclude anyone, this is our first attempt at having three distinct riding venues. 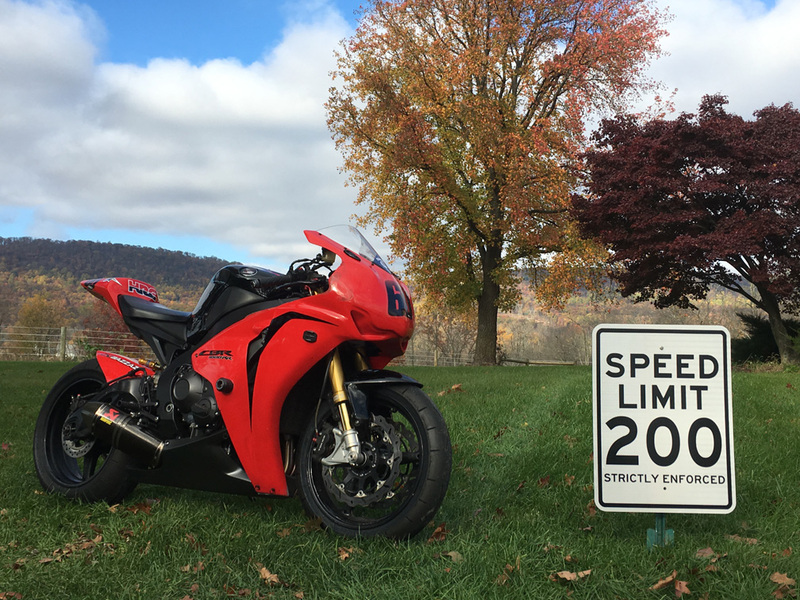 The week will begin with a two day track day event at VIR, followed by two days of dual sport adventures, and the the main body of the event by riding the streets around Maggie Valley and the surrounding areas to include Deals Gap, the Cherohala, and all of Western NC and Eastern TN that you can absorb. What follows in this post is the hotel information for the main body of the event. Starts Thursday, September 5th and check out is Sunday, September 8th. Location: Maggie Valley Creekside Lodge. You can make a reservation online by making a special notation in the comments box that you are with our group. The hotel will contact you. We have blocked 10 rooms out of 40 total rooms so call and make your reservations! You can always cancel. Making discounted reservations are good until August 13th and then special pricing is no longer available. Cancellation is good with a weeks notice, anything less than a week, they charge you for a night. The hotel has some other restrictions that will be passed along at the time you make your reservations (no pets, charges for stealing TV remotes, no smoking in rooms, etc.) There are a few secluded areas to smoke if you know what I mean. Ask to be close to the breezeway. This takes you down to the backside of the hotel where there are chairs, tables and a great place to hang out. Hanging out in the parking lot is permitted as long as we are courteous to our neighbors and those who are lucky enough to rent rooms at the same time. If you have a drink please put it into a cup before putting it into yourself. There are a few charcoal grills available, some lounge chairs and an area behind the Creekside rooms to share. Overall, a very nice site. Food and fuel are close. There are four restaurants within .5 miles. Three within .25 miles. Costs per plate range from an average of $10 to $20. There is a steak house where the costs may go up and breakfast is slightly cheaper. Beer can be bought across the street at a small grocery store and there are two liquor stores within 3 miles. Wheels Through Time Motorcycle Museum is within walking distance as well. NOTE: theriderspace.com is not an official sponsor of any posted events. Event participation is the sole responsibility of the attendee. Motorcycle riding is potentially dangerous and can result in personal injury or death. You and you alone are responsible for your own safety. Ride within your own ability. Road and weather conditions may change at any time and thereby affect rider safety, so check local conditions regularly. I'd really like to thank MattB for putting this together. Here are the pertinent data for the trackday event. Needless to say, I've never been to one and I am looking forward to attending. Price: $440 for BOTH days -- Historically, they open up single day registration a couple weeks from the event date if it is not sold out. - All participants will have the opportunity to receive coaching and ride with Cornerspeed® instructors. Additionally, all beginner group participants will experience a Cornerspeed® Track Orientation school at no additional cost. - Gloves - good condition, gauntlet style with closures. - Remove mirrors, tape over all glass and lights AND tape over the speedometer. You do not need the speedometer on the racetrack. It is an unsafe distraction. - Tires must be Sport or Race compound with good tread depth. New tires are recommended. - Side stand engine kill switch must be operational and will be inspected at Tech. If the sidestand engine kill switch fails, you will be required to zip-tie the kickstand in the up position. MattB: Finally, to those that have never done a track day and find this list intimidating, please contact me, I recall what it was like preparing for my first couple events and would be very happy to help you. Last edited by justjoe; 02-14-2019, 03:53 PM. So the plan. We begin the week off by doing a trackday at VIR. I am sure Matt will fill you in on any details that you may have in regards to this particular group and what to expect. 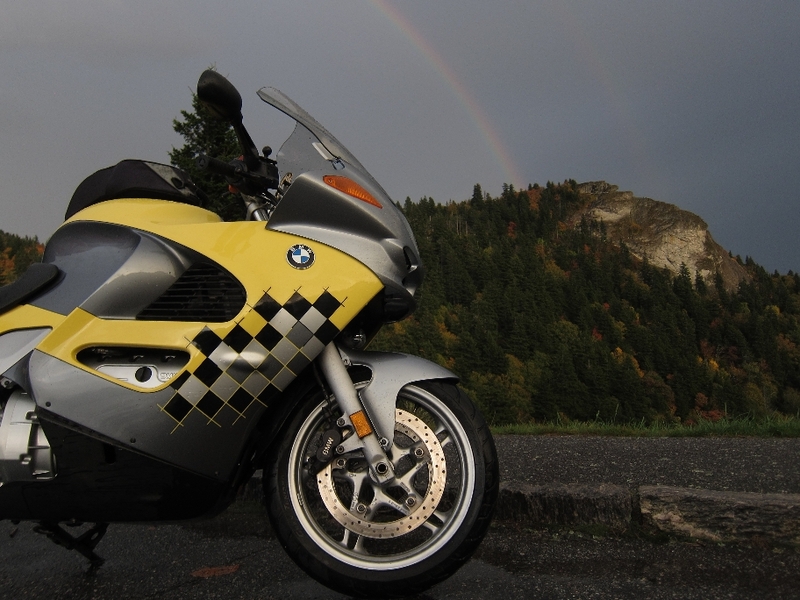 My biggest concern now is whether I am going to take the GSA, the K12S or get a dedicated track bike. I'd hate to finally use the GSA-GP chipset that would finally make Matt shutup about the BDBEM, but we shall see. That event happens Monday and Tuesday. Then we travel to Maggie Valley and from there launch a few days of dual sport riding. If you are interested in the DS riding, please speak up. Depending on attendance will depend on whether I launch out of the Creekside Lodge or camp along the way. Thursday begins the arrivals for DGR. For anyone who has been to one you know. For anyone who hasn't been to the DGR, hold on to your hats. Last year we had a hurricane and it was still a great event. I will start posting pictures and please feel free to post any that you have as well. Last edited by justjoe; 02-14-2019, 04:00 PM. Now that there is food for thought !!!! We're in. Should have clarified, we're in for Creekside. See you all there! If you are interested in the DS riding, please speak up. I would be interested in the DS and rally weekend but find it a lot of work to do on the bike for the track day. Excellent! We (meaning my scout Bill Morgan) will have something cooking over the summer and ready to go for DS riders. One for big bikes and some other mess for thumpers! What is DS riding, please define. Do I have to bring two bikes? Hey Greg, dual sport riding is both on and off road. I mention thumpers and big bikes. For the most part these are the same roads in general where the thumpers will be taken places that I would not want to take a big bike. The GS/A is an example of a big bike and the routes will be paved, hard pack and some gravel. My KTM 500EXC is an example of a thumper and would go on paved, hard pack, gravel, double track and single track. 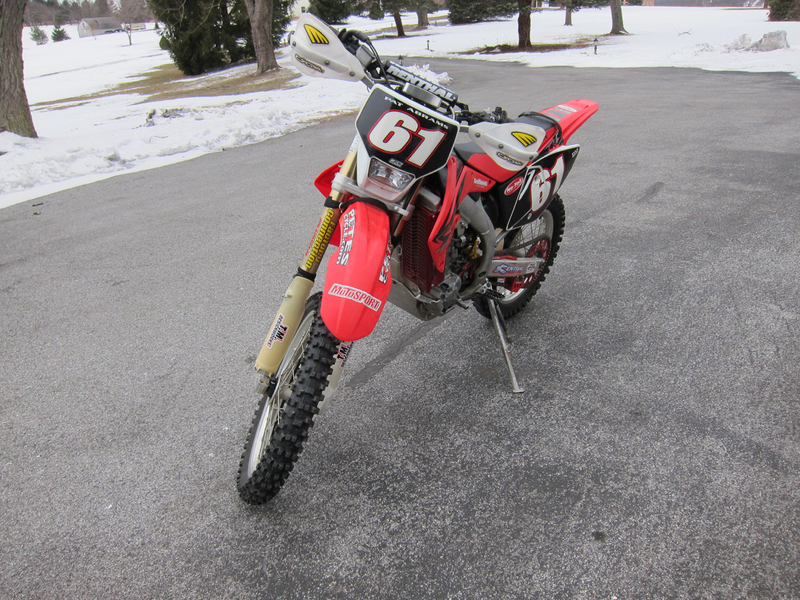 There will be more mud, loose, slippery surfaces, and water crossings for the thumper. Just to keep it interesting! 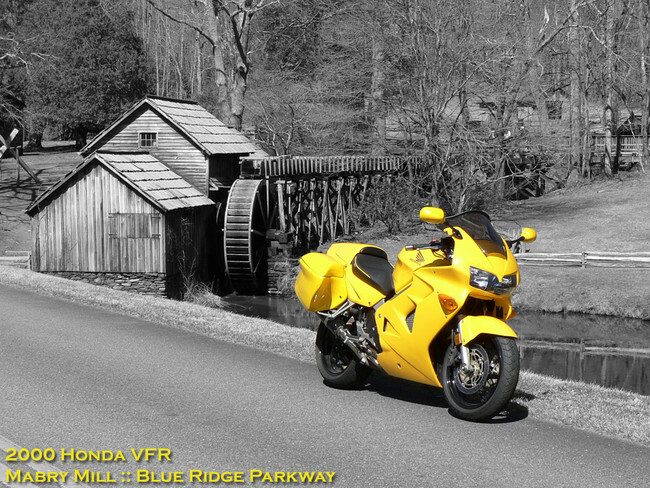 Would Maggie Valley be the place to stay also for the DS rides? Yes and yes. Dual sport rides will start out of the Creekside Lodge. We may, JUST MAY, depending on numbers of folks and what they are riding trailer to another location to start and stop. But, that isn't in the plans. We will have plenty of rides to make. Which DS category should I use the Mighty K1300S? “Someday this wars gonna end.” Col. Kilgore, Apocalypse Now. Don’t let ‘em fool you, Zato has a GS as well. If I’m riding it, then it becomes a thumper! !